Buttered Beer is actually a real drink dating back to Tudor England involving ale, butter, egg yolks, and various heady aromatics like aniseed, licorice root, cloves, cinnamon, ginger, nutmeg, and what have you. 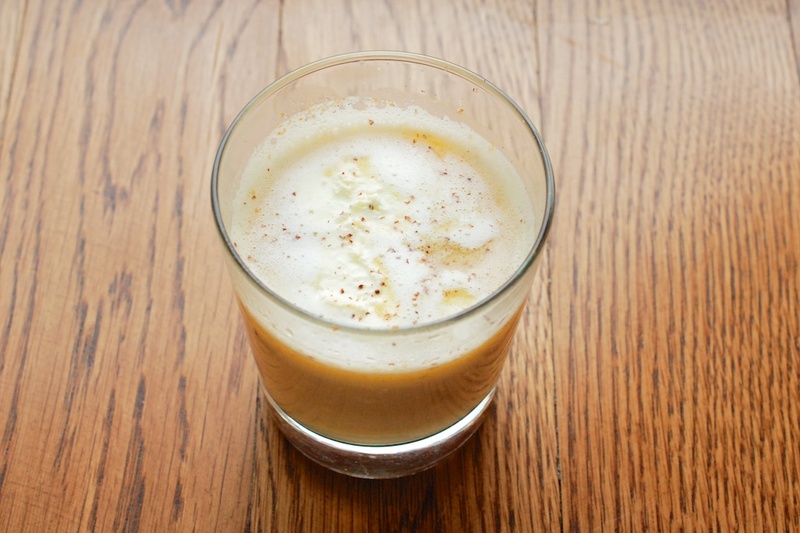 Butterbeer, however, is a fictional tipple summoned from the clever mind of J.K. Rowling. Much of my google-supported research revealed recipes that aimed to copy the version of Butterbeer sold at the Harry Potter amusement park. I took some flavor notes from those recipes, but I wanted to challenge myself to use as many whole ingredients as possible. 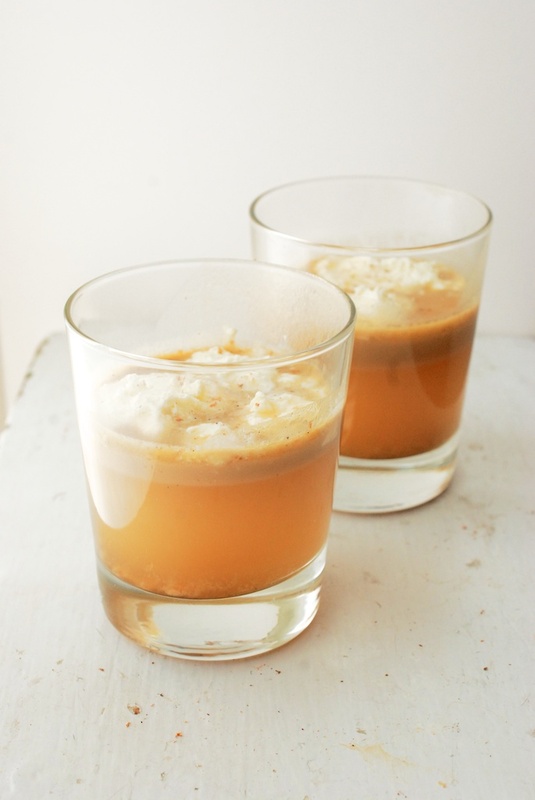 I kept in mind that Ms. Rowling herself imagined Butterbeer to taste like a less cloying version of butterscotch. I approached my version in three parts: the foam (whipped cream with nutmeg), the butter (homemade butterscotch), and the beer (three testers, doctored with butter and spice). The end goal was a drink with a touch of alcohol, something warming and creamy and definitely a special treat. I made the butterscotch using a recipe from Smitten Kitchen. 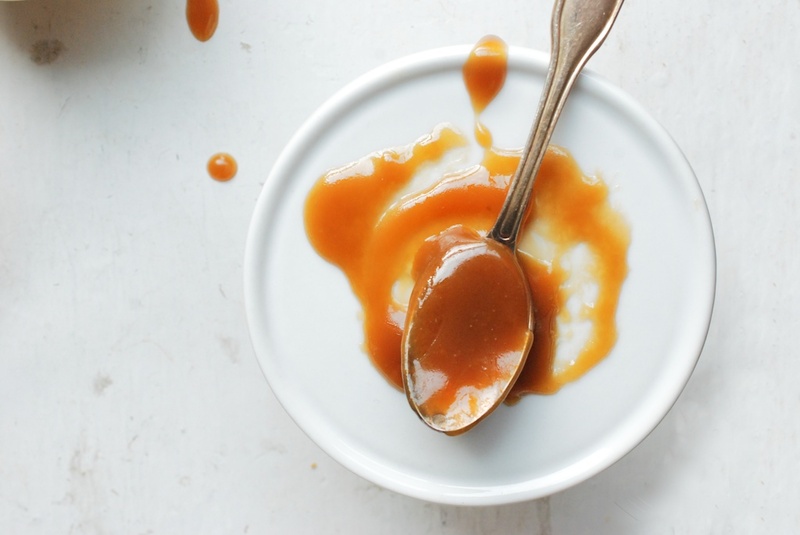 It promises it to be “ridiculously easy” right in the title of the recipe–“Ridiculously Easy Butterscotch Sauce”–and boy is that accurate. 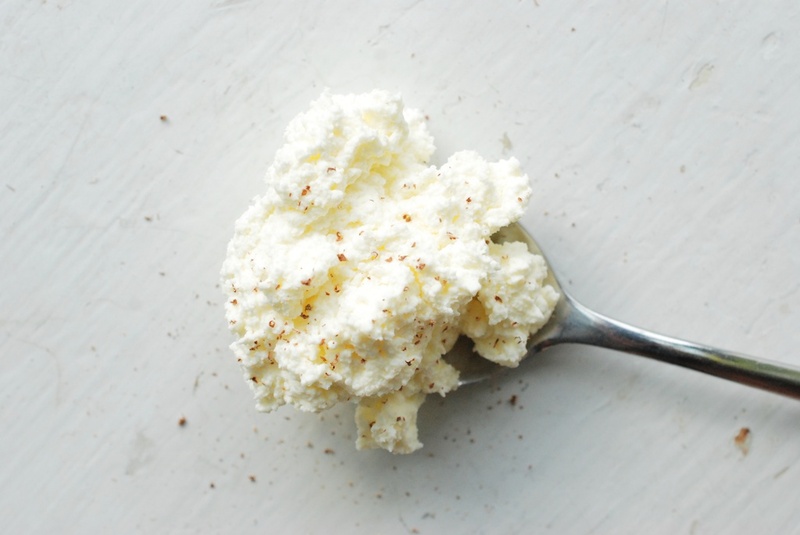 After making it once, it’s memorized (there are only five ingredients, after all). I hope to find an opportunity to use it again as soon as possible. As for the “beer”, I made three batches. 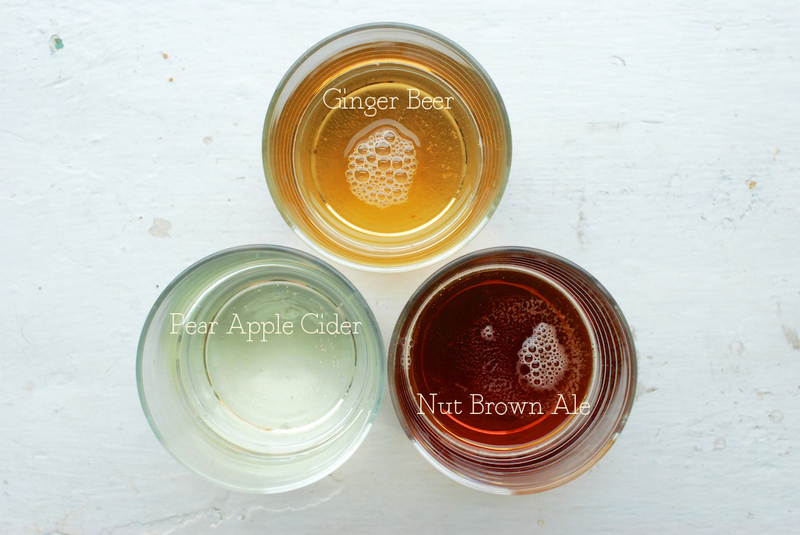 I tried: Crabbie’s Original Ginger Beer, Samuel Smith’s Nut Brown Ale, and Doc’s Draft Pear Hard Apple Cider. I found all three in the fancy-pants beer section of my supermarket. To my mind, the ginger beer was the clear winner. It was flavorful and rich, and stood its ground against the other ingredients. The pear apple cider tasted thin and weak by compassion (although lovely on it’s own, and even better poured into a pork braise). The Nut Brown Ale seemed overly bitter to me, but then again, I’m not a big beer drinker. If ales are your thing, you might enjoy that option better than I did. 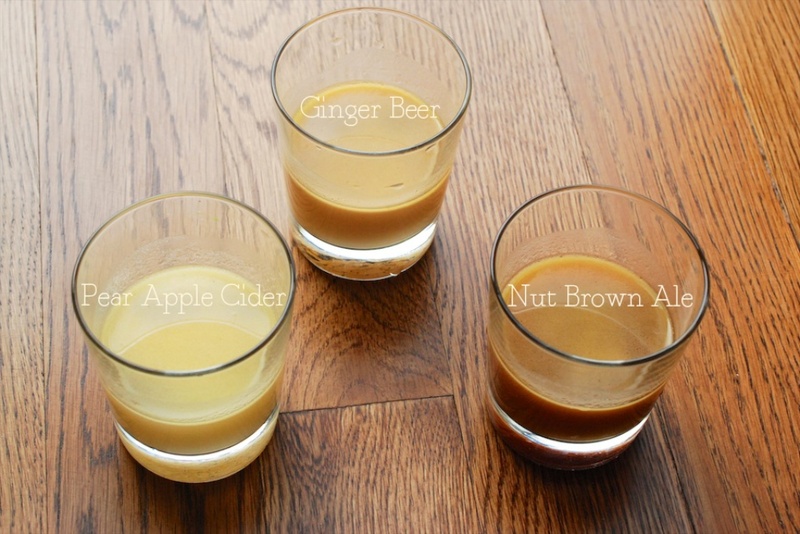 If you decide to use the pear apple cider, I would reduce the light brown sugar to 3/4-1 tablespoon, and if you use the ale, I would increase it to 2.5-3 tablespoons. Lastly, the “foam” was the easiest part: whip some heavy cream, add a dash of nutmeg. A note on the grated ginger: I like using a microplane grater for this, as it basically creams the ginger. If you don’t have a microplane, you can use a cheese grater, or even just slice it thinly. The point is to impart flavor. It’s best to run the drink through a cheesecloth anyway before serving, as ginger is fibrous no matter how you grate it. A note on the rum: If you add a whole ounce of rum, the drink it going to be pretty boozy (albiet delicious). A note on the cups: You’ll have to forgive the absence of tankards. Truthfully, the cups pictured wouldn’t be very practical for drinking hot drinks, but for the sake of this post, I wanted you to be able to see inside. In real life, I suggest using a beer mug, or even (fancy pants) coffee mugs. Add 1/2 stick unsalted butter to a medium pot. Turn the heat to medium, and let the butter melt. Whisk in: 1/2 cup dark brown sugar, 1/2 cup heavy cream, and 1/2 teaspoon flaky sea salt. Let the mixture come to a mild boil for about 5 minutes, whisking as you go. When the butterscotch is thick enough to really coat the back of a spoon, remove it from the heat. Stir in 1.5 teaspoons vanilla extract. If you like, add a bit more sea salt and vanilla to taste. Pour 1 cup heavy cream into a bowl. If you have an electric mixture, break it out now. Mix the cream until it’s whipped to your liking. 1. Melt the butter in a medium pot, over medium-low heat. Add the grated ginger, the nutmeg, the light brown sugar, and the vanilla bean. Stir to combine. Wait until the butter is bubbling gently, and then add the rum and stir again. Let the rum come to a little bubble, 1 minute. 2. Add the ginger beer to the pot, and lower the heat a tad. Keep the pot on the stove just long enough for the ginger beer to heat through, and to impart the flavor of the ginger and vanilla, about 3-4 minutes. 3. Prepare your glasses. 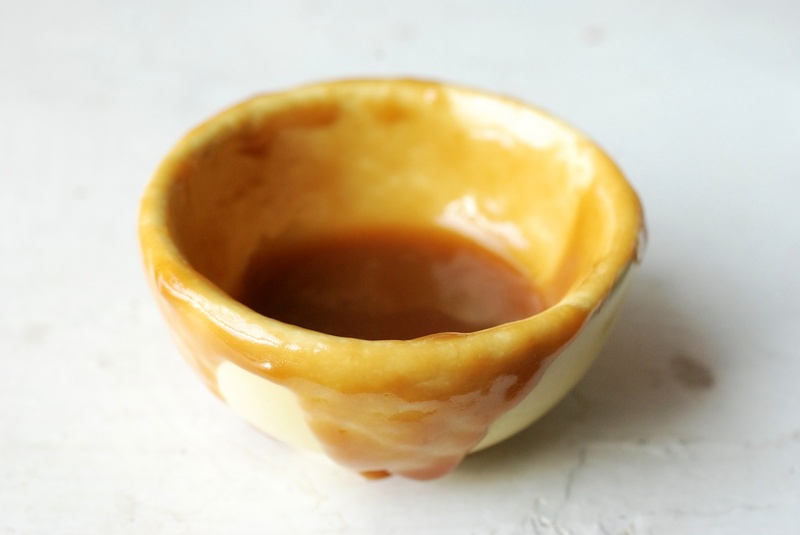 Add a spoonful of butterscotch to the bottom of each glass (adjust depending on personal sweetness preferences). 4. 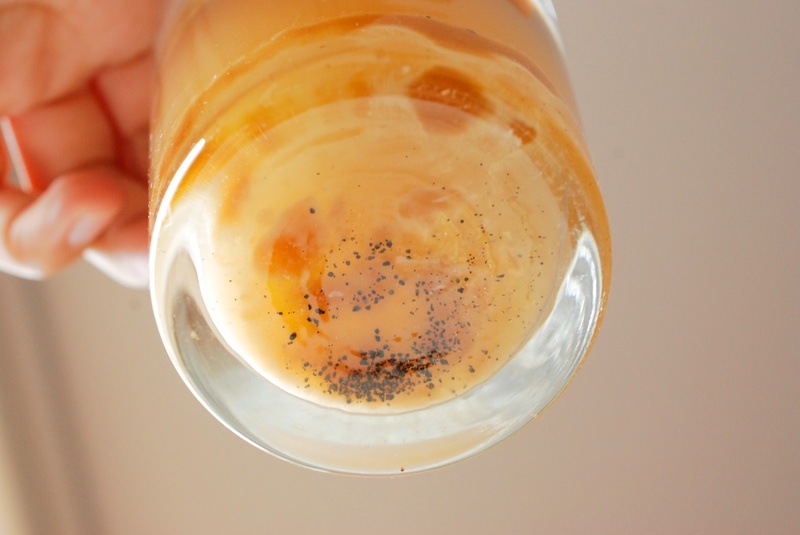 Run the butterbeer through a fine seive or cheesecloth, to remove any ginger bits, and the vanilla bean. Looks delicious! You’ve made me want to make up a batch, curl up with a blanket and watch Harry Potter from start to finish! These sound and look absolutely amazing. Beautiful photos! Oh man this is so decadent-sounding and delicious-looking and I’m sitting at my desk freezing my fingers off…all I want to do is drink this! 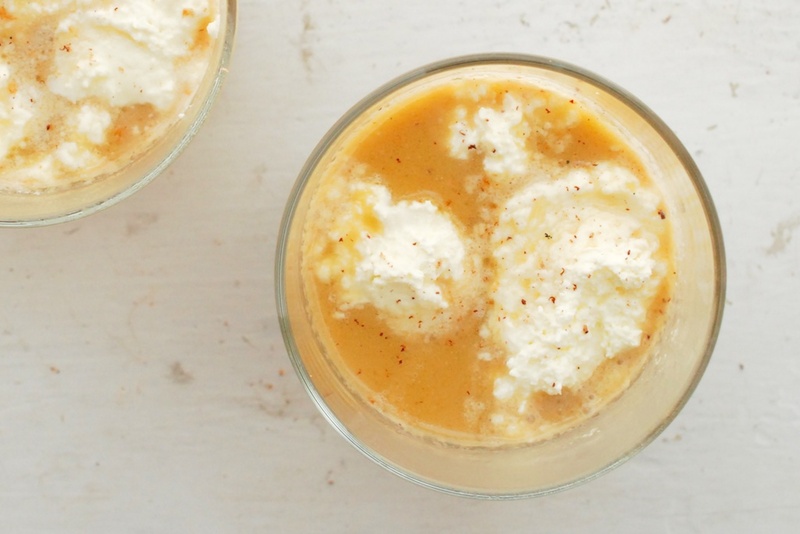 I love that golden color–that’s exactly how I imagined Harry Potter’s butterbeer! Thanks, Danielle! As long as your credit and link me to the article, I am happy to share the recipe with your readers. This was delicious! 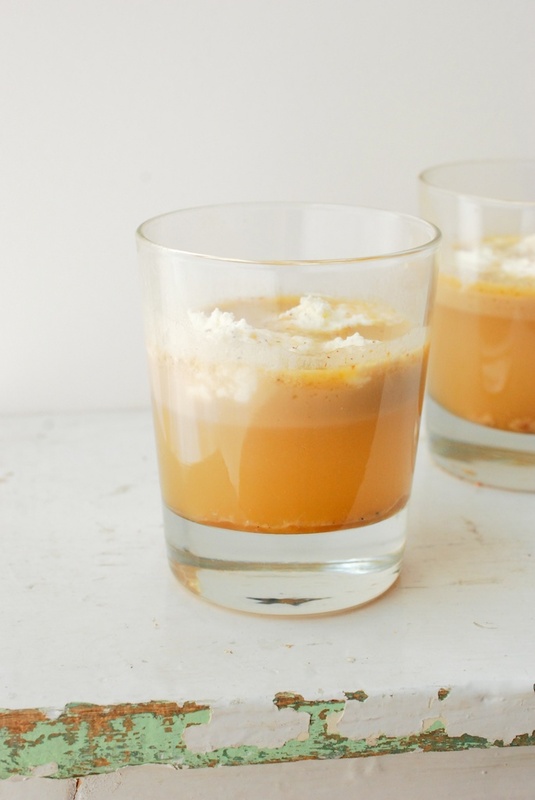 We made it as part of a Butterbeer tasting which we discuss on our Harry Potter episode of Fiction Kitchen podcast: http://www.fictionkitchenpodcast.com/harry-potter/ – thanks for an awesome recipe, we all loved it. I’m so glad you liked it, Carrie! Have you found a way to make this cold? I’m making some and it is in the heat of summer so chilled butter beer is more up my alley. This seems to be the best recipe I’ve found so far! I’ve never tried! Let me know if you do!